No exercising the voice on Goog, Gum or Gee! This issue of Backstage Magazine has some exercises that are quite good except for the exercises using words beginning with a G (hooty gees and gums). Many pop teachers use exercises on Goog, or Gum which can result in too much tension and squeezing in the vocal cords, creating what we call pressed phonation. The first teacher who created these used them probably for his young male students who sang in falsetto, which is naturally breathy until trained. The consonant G creates a tight closure of the vocal cords and is sometimes recommended for breathy phonation, but most voice scientists prefer the use of a K to establish a complete closure of the vocal cords, because the K is gentler on the cords and produces the same result. Right now try singing any notes on Ga. You will notice that the vocal cords squeeze together. Now try singing the same notes on Ka, you will notice that the vocal cords do not squeeze together as tightly. I have had students come to me suffering from terrible tension in the larynx due to doing G exercises. One student was even unable to speak! Most students tend to suffer from laryngeal tension and adding more tension to the vocal cords by using G exercises is not a good idea. 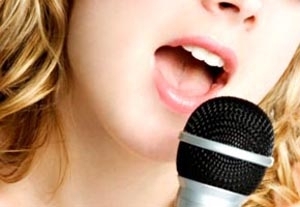 Voice scientist only recommend the use of exercises on K or even G if there is incomplete closure of the vocal cords, which results in a breathy voice. If you do not have a breathy voice then these exercises are not for you and if you decide to use them, be aware of any tension in the throat. Here are the Backstage Magazine exercises. These exercises are the main exercises that are used by pop/rock/country teachers. Many of these teachers have learned from their teachers or are certified in pop methods and do not have a background in voice science, so I have put a few comments next to them as these are exercises that you will most likely get from contemporary style teachers. I do not want to discredit any teachers without a science background, there are many excellent ones out there. This review below is for the use of people who will try to teach themselves to sing by reading articles and watching youtube videos. To learn to sing you MUST see a voice teacher who can create a healthy vocal plan just right for you. You can buy a new guitar when you wear it out, but not a new voice. As a voice teacher, I’ve found certain exercises that work well for most singers and help get fast results. Unless noted, they can be used with any scale. But a word of caution: Don’t take any of these exercises higher than is comfortable. You can listen to my podcasts at www.speechlevelpodcast.com for some examples. Blow air through a small stirring straw while phonating glides up and down through your range. The backpressure created by the resistance of the straw presses down on the vocal cords and helps decrease puffiness, a major source of vocal trouble. This is a variation of the straw exercise. Gently blow air through closed lips, keeping them relaxed, and sing an uh vowel underneath. Your lips should start to trill. The resistance of the bubbling lips helps maintain cord closure, an important element of good singing. This is a great exercise to help build the coordination needed to maintain proper cord closure. Make a little edgy sound, like a creaky door or a rusty gate opening. Do a scale on this sound using very little air. The idea is to not let the sound get breathy or squeezed. Make the ng sound from the word hung. This sound is produced with the tongue and soft palate together. This again provides backpressure, while also making the transition between the lower and upper registers (chest voice and head voice) easier. This is done using the word nay on a bratty or Wicked Witch–type sound. This exercise also assists in cord closure, while the exaggerated sound makes it easier to ascend into the upper register without cracking or flipping. This is the opposite of the previous exercise, and it’s quite useful for a singer experiencing excess tension. Using a dopey cartoon voice (think Yogi Bear), say the word gee. You should feel your larynx drop. The g consonant should also help with cord closure due to the backpressure it creates, so you can experience accessing the upper register with a stable larynx and closed cords. This coordination is extremely important in good, healthy singing. Once this exercise is comfortable, you can drop the dopey imposition and sing on a more natural sound. This exercise is great for working the upper register. The coo can be made to sound hooty, like an owl, for extra ease in working high notes. This is very useful for singers who are weak or breathy in their lower register. The sound is on the aah of cat and can be exaggerated by sticking the tongue out slightly. Do this in your lower register in a five-tone scale (1–2–3–4–5 to 5–4–3–2–1 of the major scale). Use very little air, as you don’t want any breathiness in the sound. These are best used once the voice is experiencing proper cord closure and ease of production. The word goog (the vowel sounds like the oo in good) has both a hard consonant for cord closure and a vowel that will help stabilize the larynx. Be sure to maintain the vowel in the upper register, as vowel widening (gaag) can cause tension. The vowel and consonant of mum provide a bit less help than goog, making this a slightly more advanced exercise. Going from a more closed or narrow vowel to a wider one on a sustain is a great way to balance resonance. The more closed vowel will help you get into your upper register. Gradually open to the wider vowel while keeping the resonance in the same place. If the tone gets shouty or strained, go back to the narrow vowel to get the voice balanced again. Hi, I’m trying exercise no. 1 (the straw glides) and hearing a good amount of air (breathiness). Will this decrease on its own over time, or is there something I consciously need to do to reduce it?